The division of the Order Lepidoptera into "moths" and "butterflies" is entirely arbitrary based on early observations of moths being mainly nocturnal (nighttime) and butterflies diurnal (daytime) insects. In fact all moths and butterflies are called lepidoptera (Greek for "scaly winged") because they have scales on their wings which gives them the coloured patterns that we use to identify them. Interestingly, some of those wing scales are also the source of odours which the sexes use to find each other. 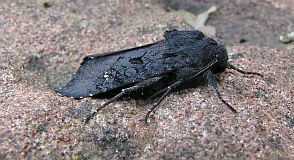 At Montrose Basin, moths and butterflies can be found anywhere on the Reserve that has flowering plants and trees, and especially around the Visitor Centre, Tayock, and near the Shelduck hide. 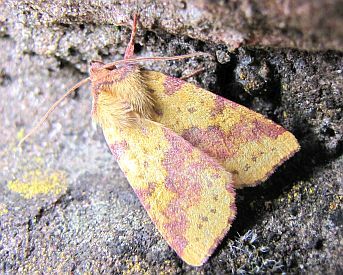 A moth trap is run regularly at the Visitor Centre and a good variety of species are found. A full list of the moths found on the Reserve is available (courtesy Paul Brooks). There is another artificial division; macro-moths and micro-moths, which denotes a size difference between the two groups. The only problem is that some of the micro-moths are larger than the macro-moths! However, the use of the terms is widespread and is useful in making an initial assessment of the ID of a specimen, if only to decide which book to look in. 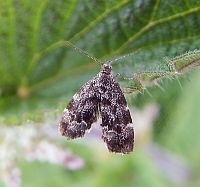 A lovely micro-moth is the Nettle-tap moth (Anthophilia fabriciana). Field Guide to the Moths of Great Britain and Ireland by Paul Waring, Martin Townsend, Richard Lewington. Field Guide to the Micro-Moths of Great Britain and Ireland by Phil Sterling, Mark Parsons, Richard Lewington. 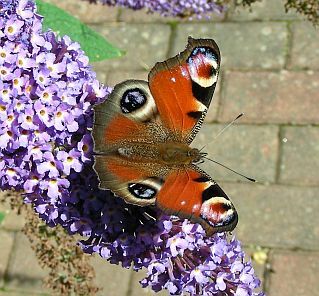 For more information look at the Butterfly Conservation website for the east of Scotland.